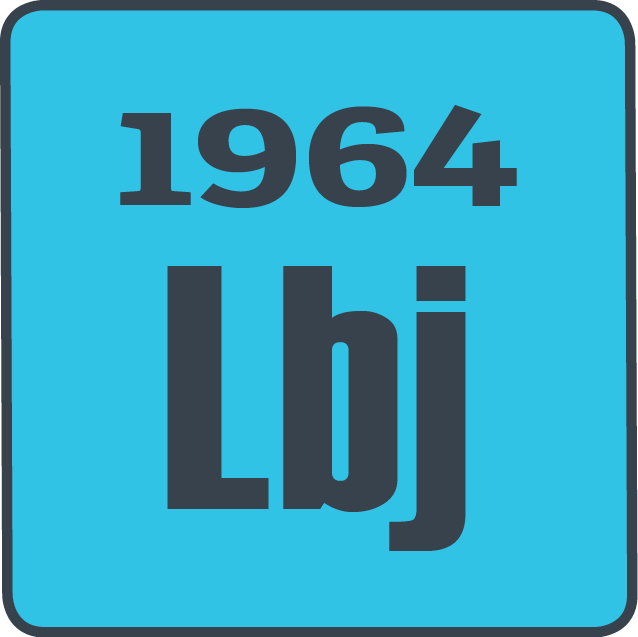 In the election of 1964, Lyndon B. Johnson faced the conservative Republican senator, Barry Goldwater. Johnson entered the election with high approval ratings. He had taken over the office following the assassination of JFK. Just as in the previous election, t.v. played a role in the campaign. The Johnson campaign created one of the most famous political commercials as of yet with a little girl pulling petals off of a daisy, counting down to a nuclear explosion. Johnson lost some support in the south with his push for Civil Rights and integration. Even so, he won with by a huge margin in both popular and electoral votes. Unfortunately for Johnson, the support of the American people would not stay with him through this term.